I have two jquery script. when one script works, the other one does not function and vice versa. Intially, I thought it is because both scripts had same function name etc. I changed the variable name and everything. It still doesn't work. Both of the scripts uses promoted links but different promoted links not the same one. Attached is the CEWP file. When I delete the first line of the script in a staging environment, it works, however, it doesn't on the production environment? You are using more than JQuery references that lead to ش conflict issue and the script will not work properly. 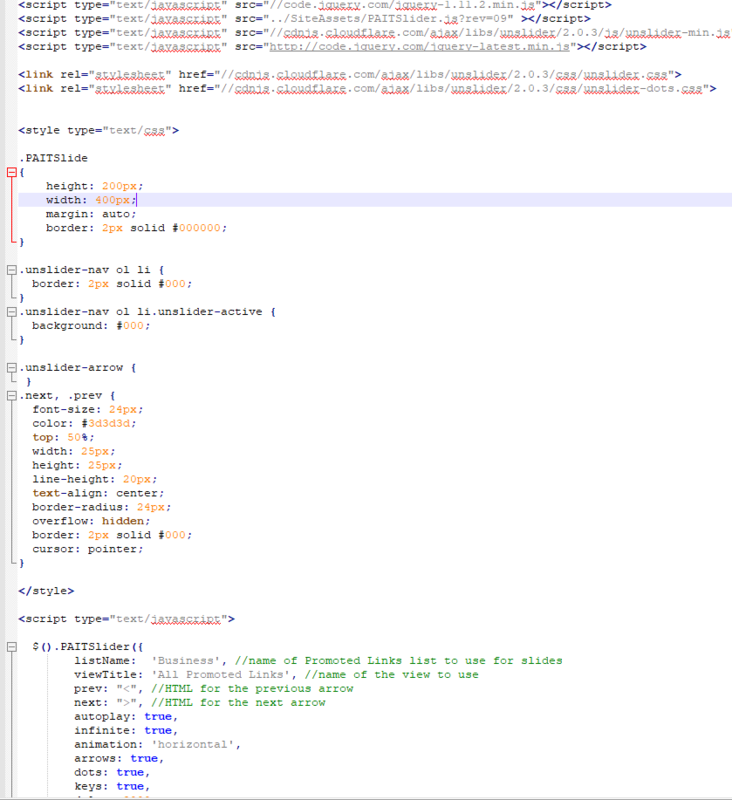 Add the JQuery references before other scripts. Not the answer you're looking for? Browse other questions tagged jquery content-editor-web-part promoted-links or ask your own question.